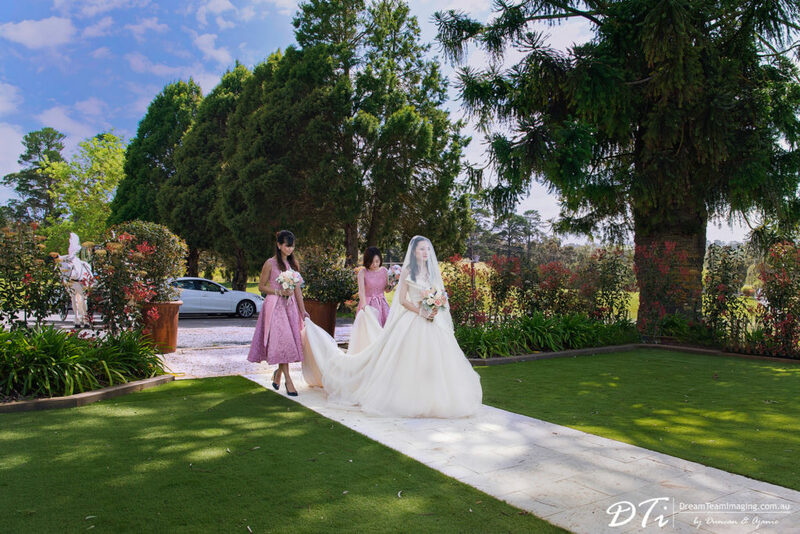 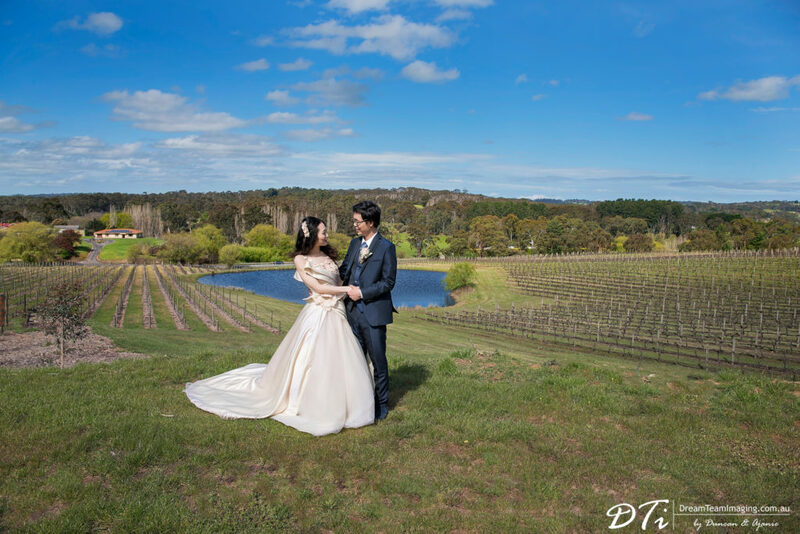 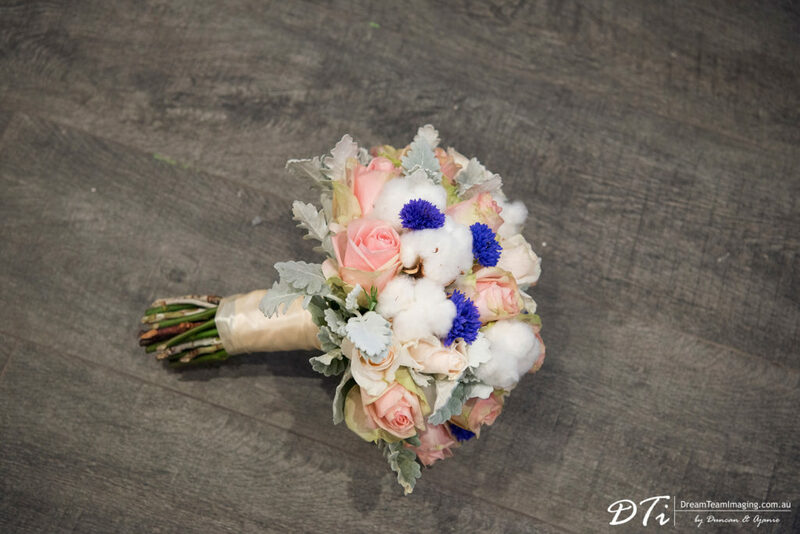 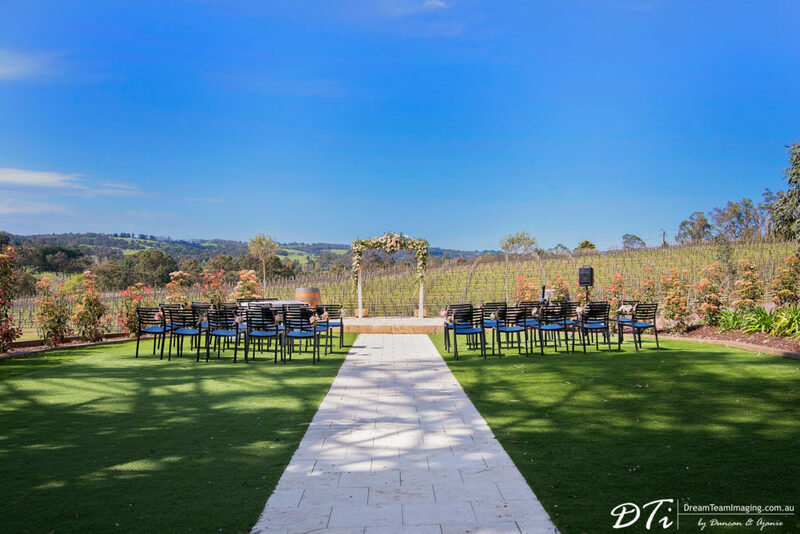 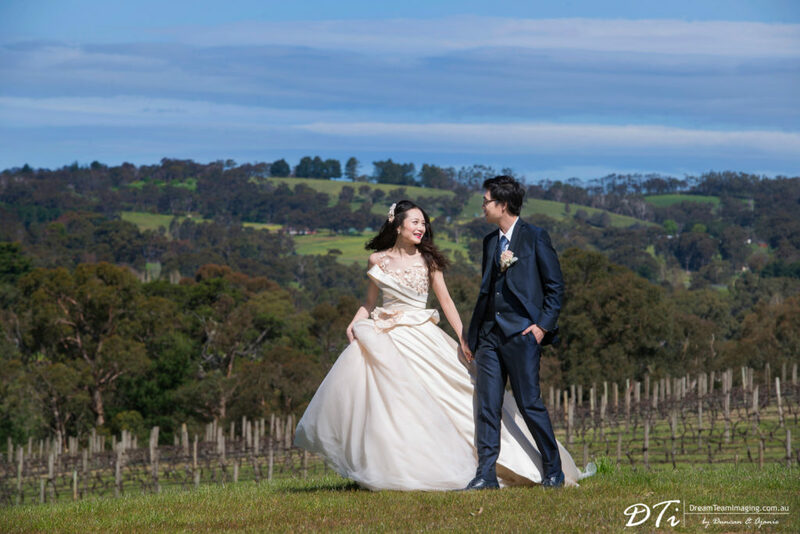 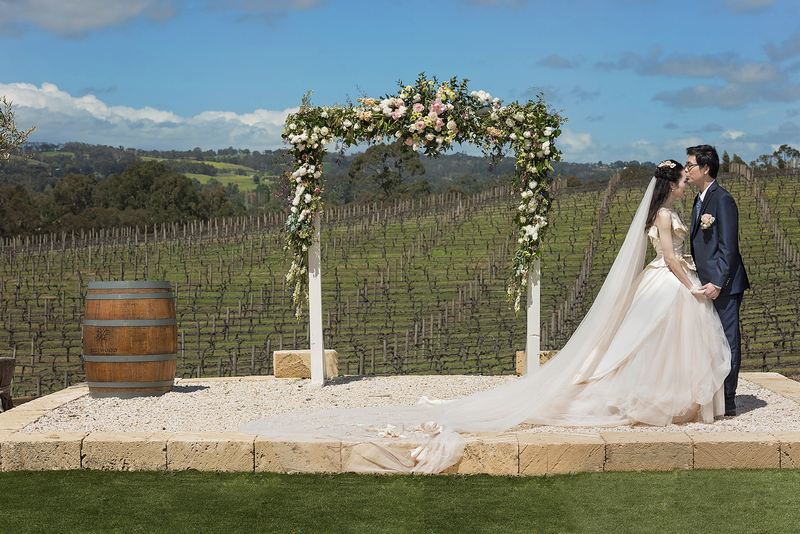 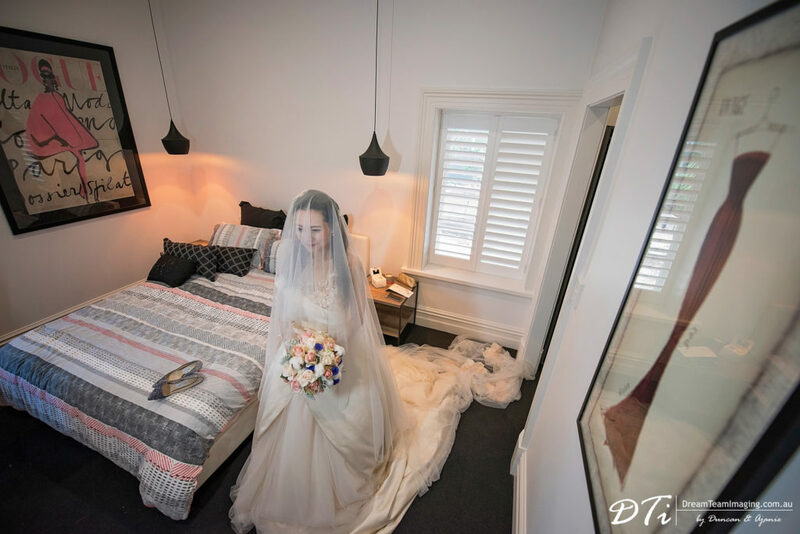 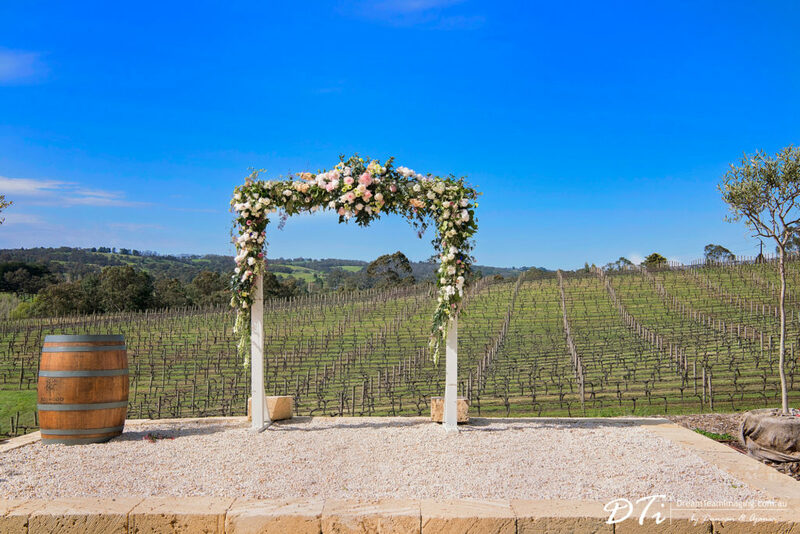 In the picturesque Adelaide Hills region Maximilians is one of the many ideal locations for a Garden wedding. 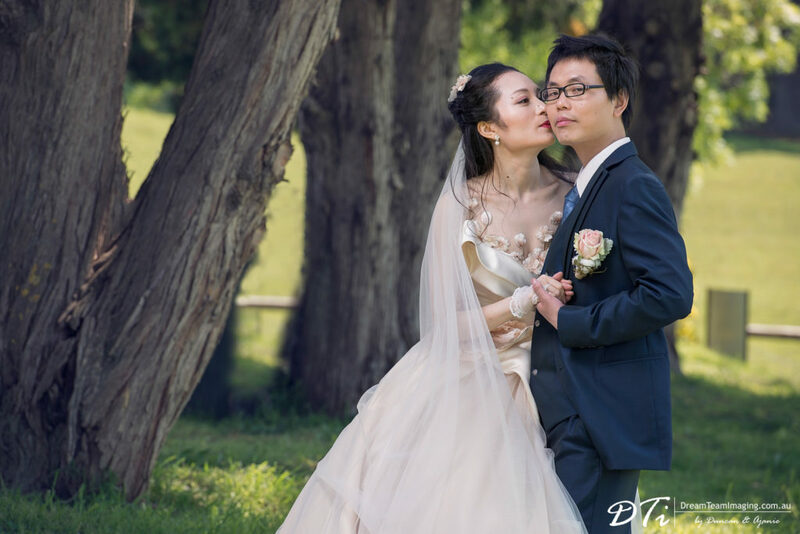 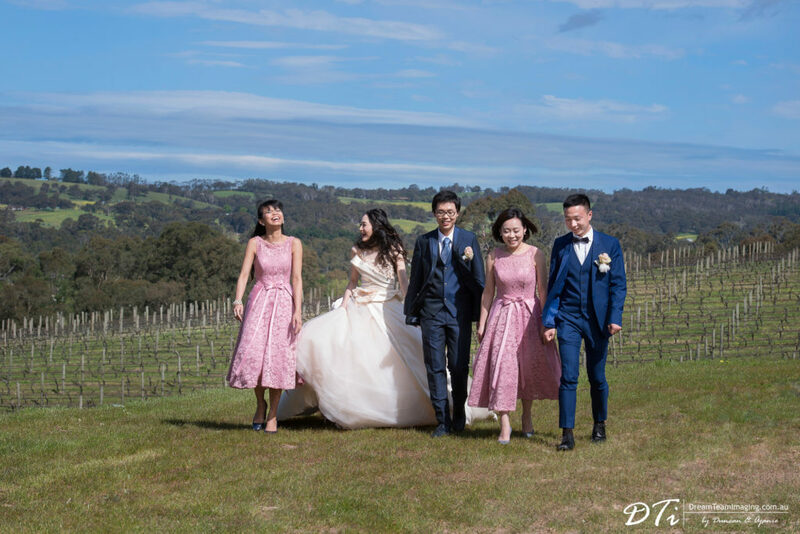 Liu & Hang’s fairy tale wedding was held at Maximilians and despite the erratic wet weather we had in the preceding days, the wedding day it self was weather perfect. 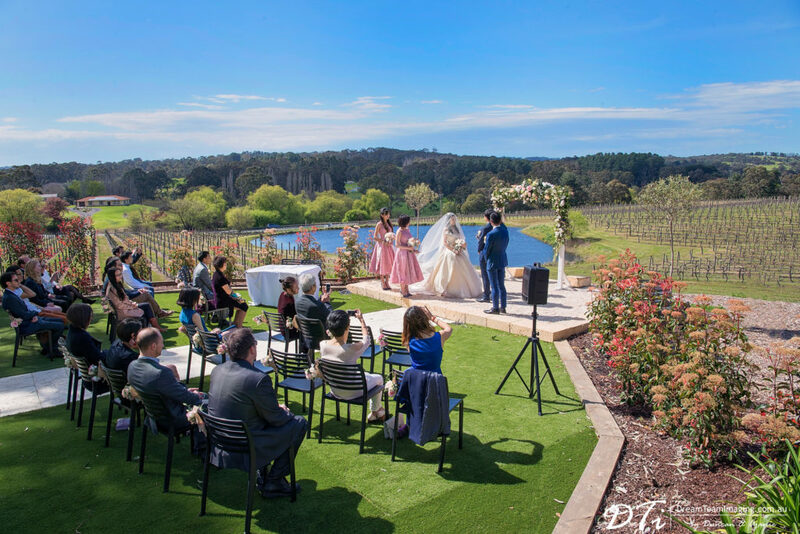 Maximilians venue offered everything Lie and Hang wanted for their special day. 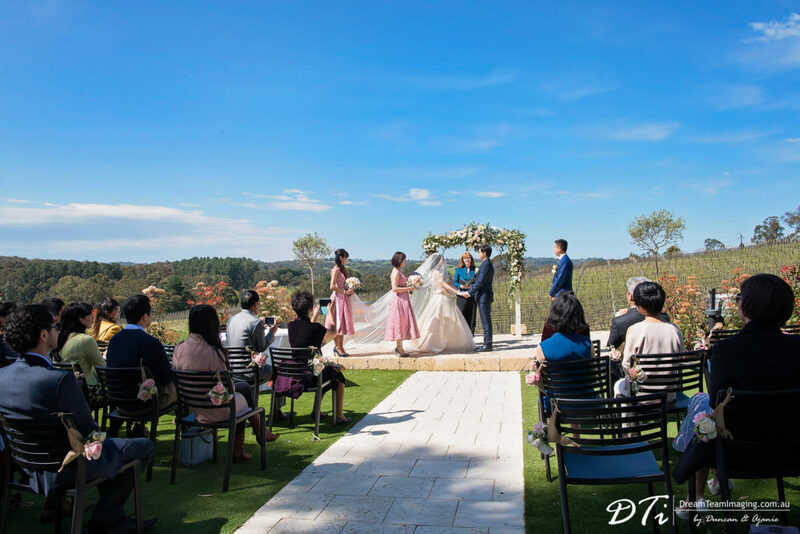 The wedding ceremony located on the top of a hill had breathtaking views for our eyes to feast on. 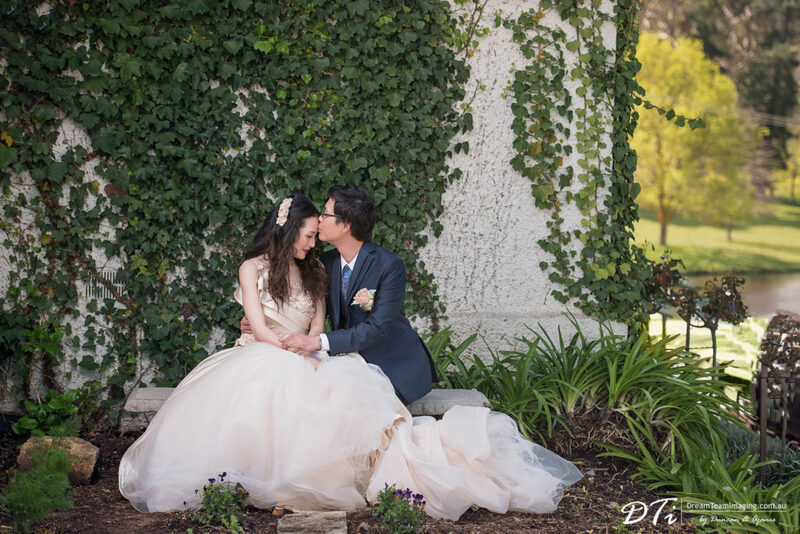 It was truly heaven on earth. 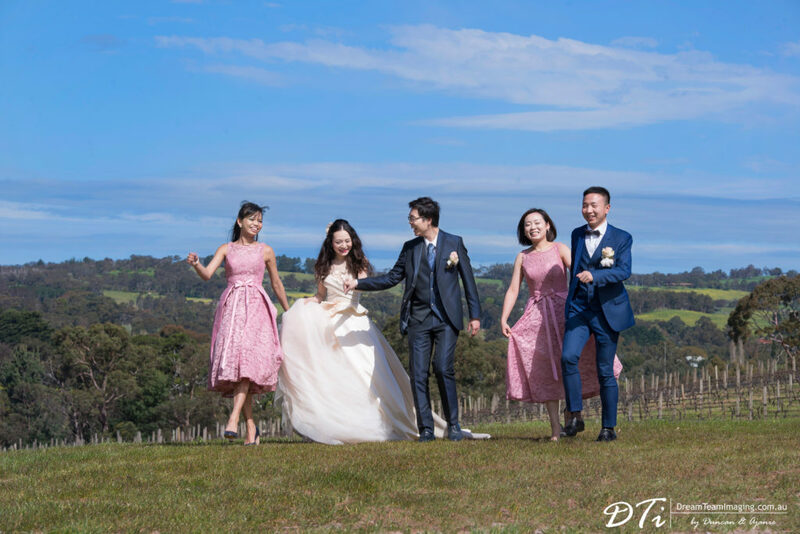 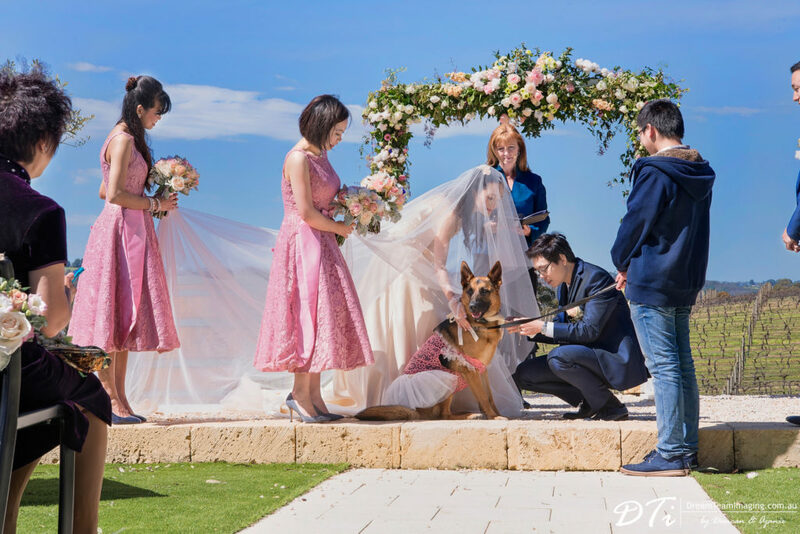 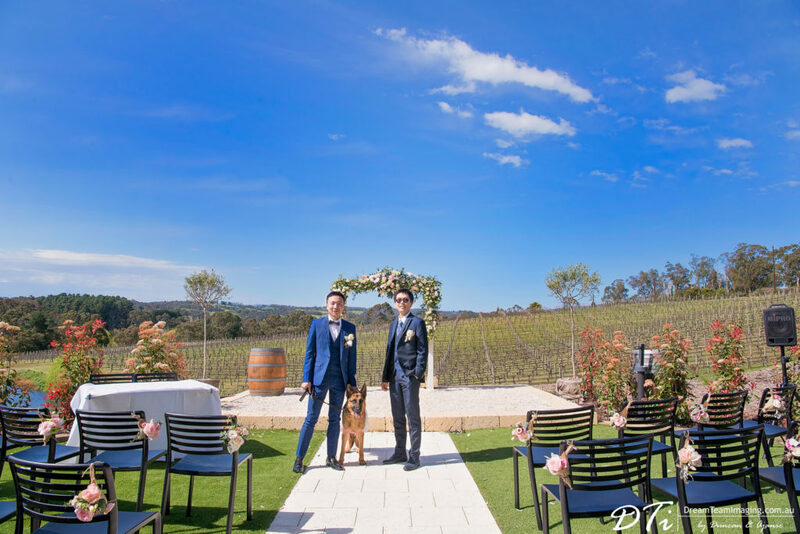 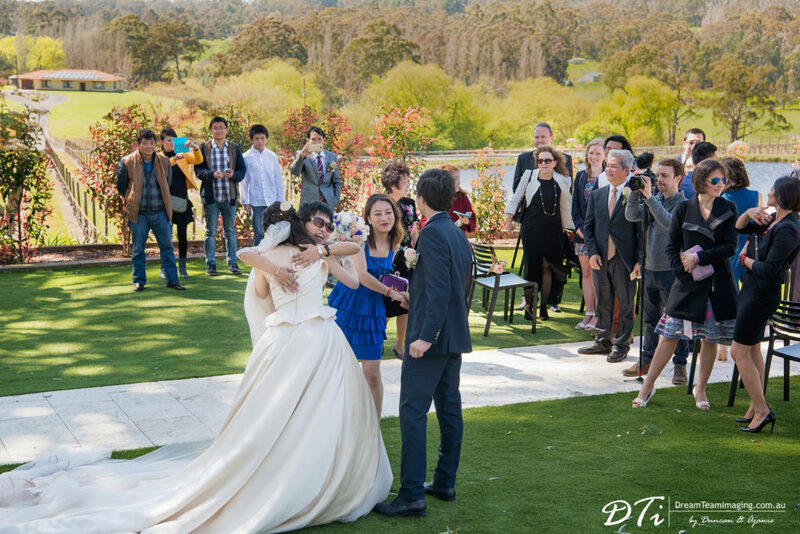 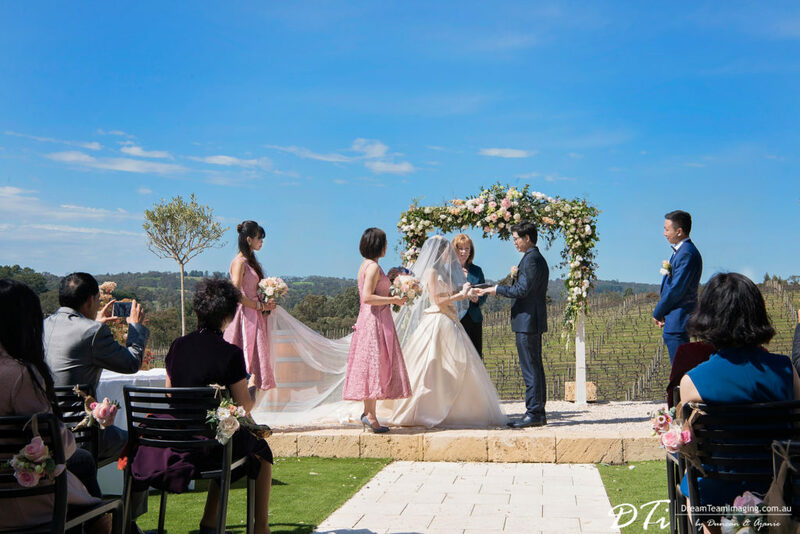 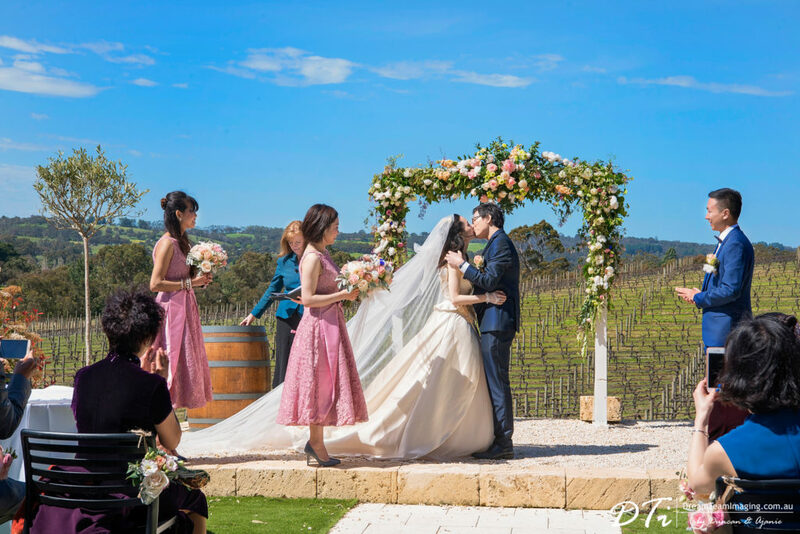 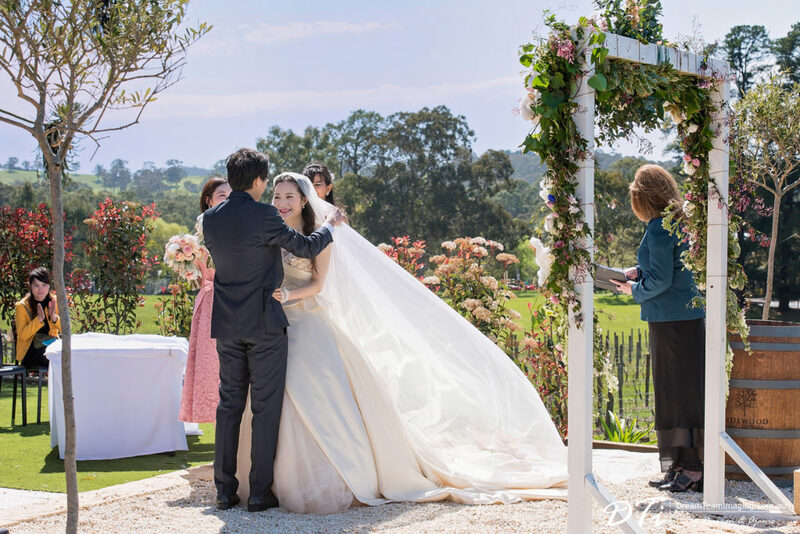 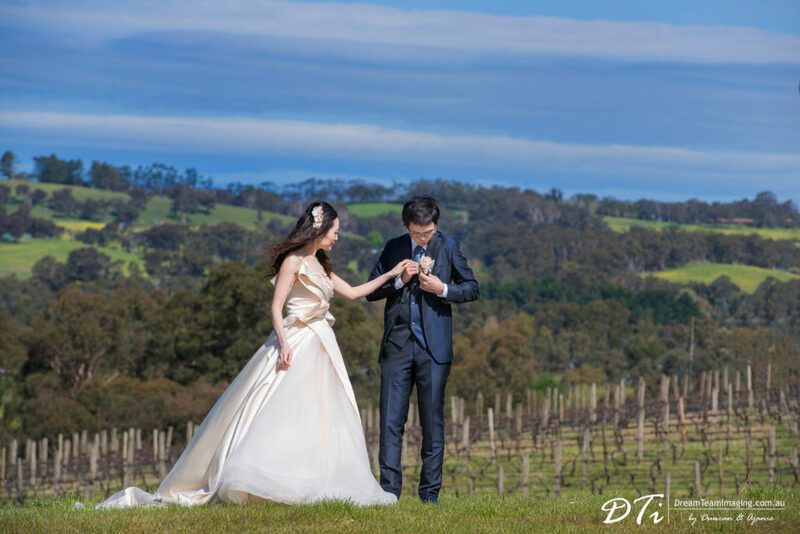 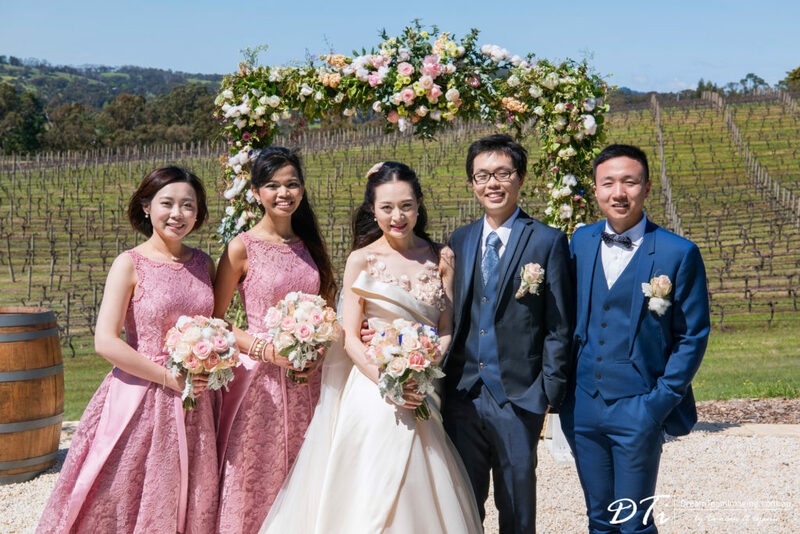 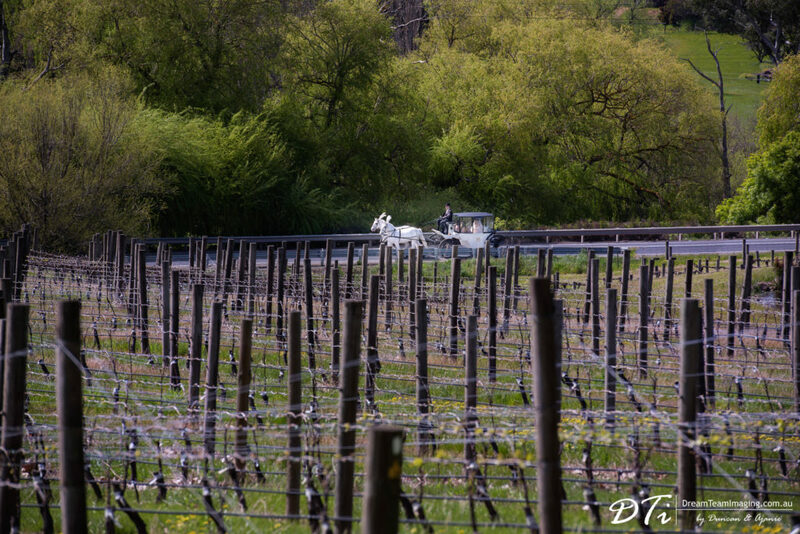 The ceremony’s backdrop was vineyards stretching to the foothills of rolling hills that in turn were graced by bight blue skies. 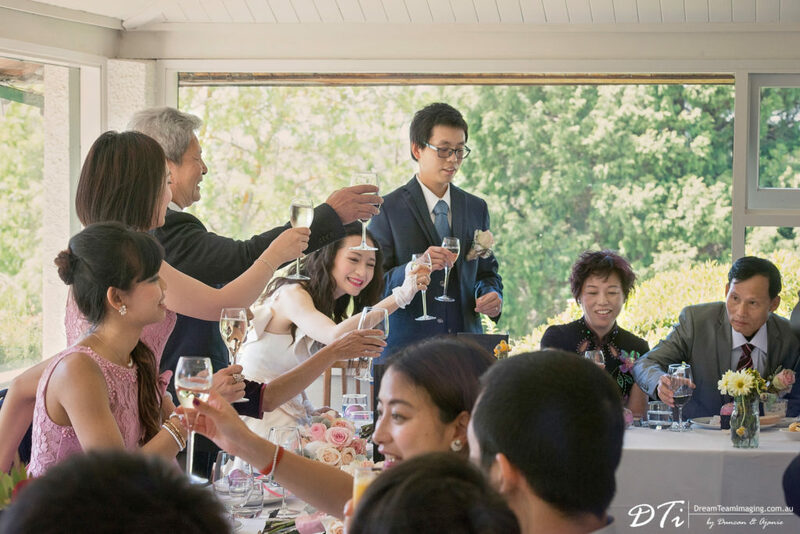 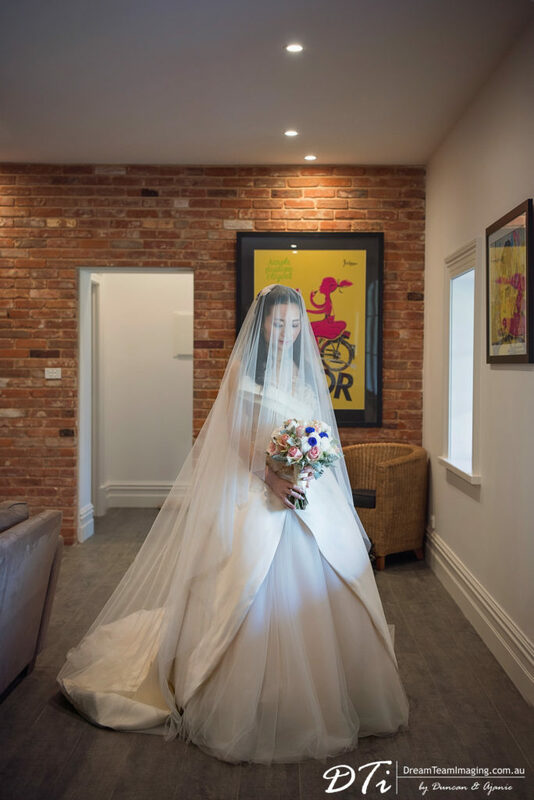 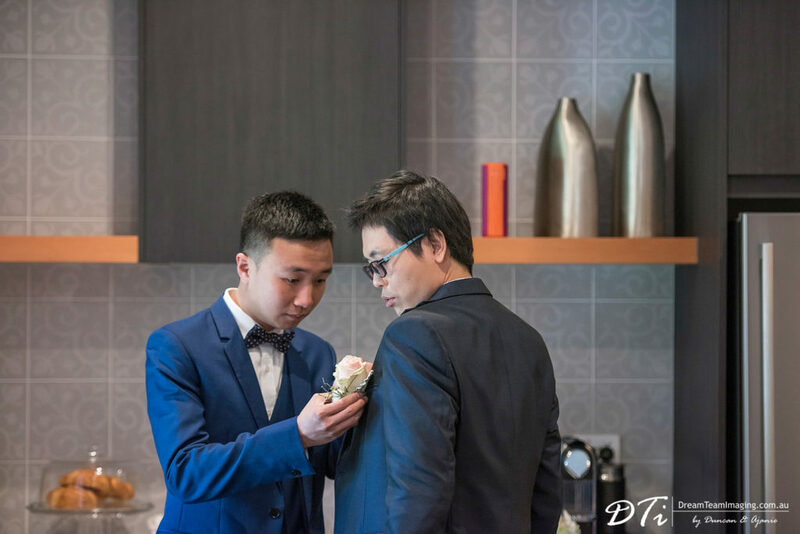 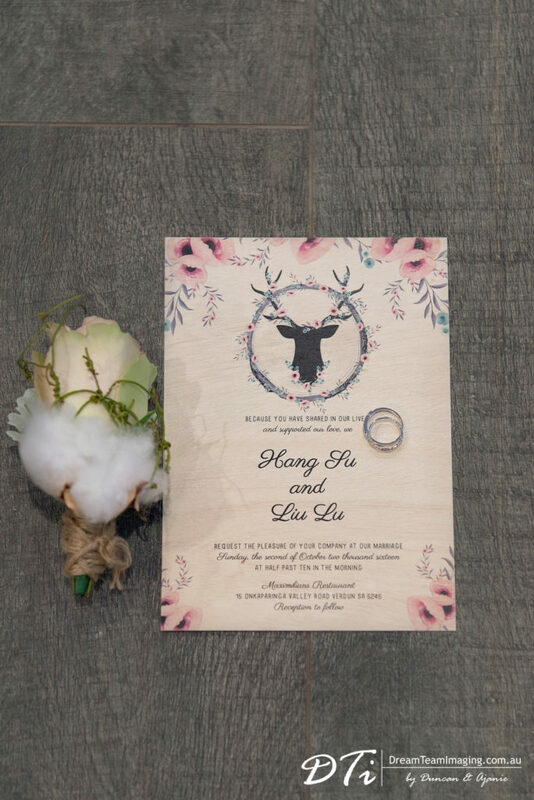 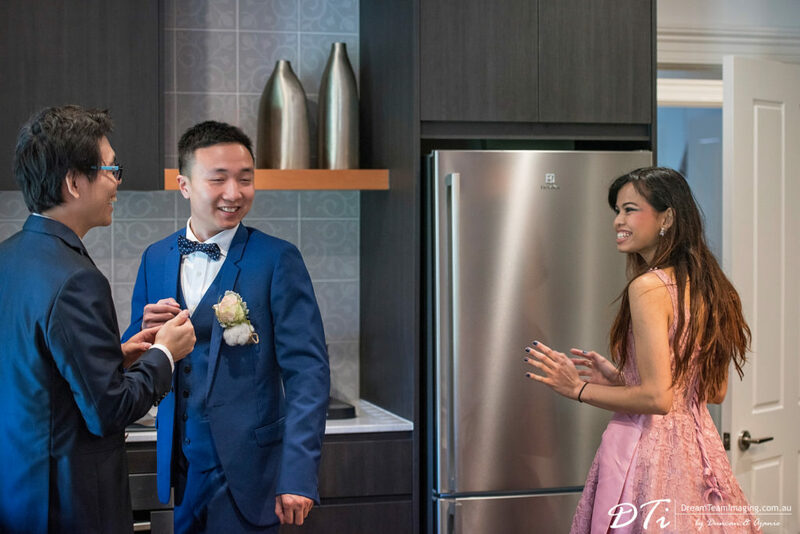 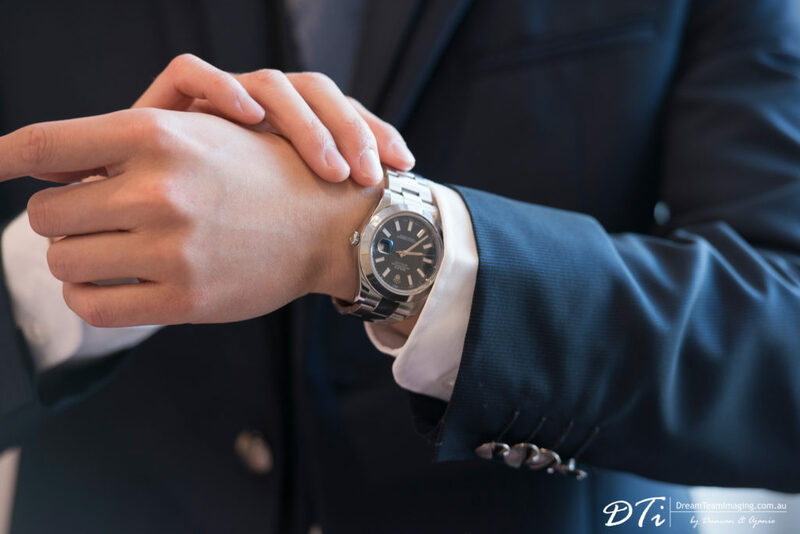 Perfecting this recipe of romantic bliss was close family and friends bearing witness, as Lui and Hang became partners for life. 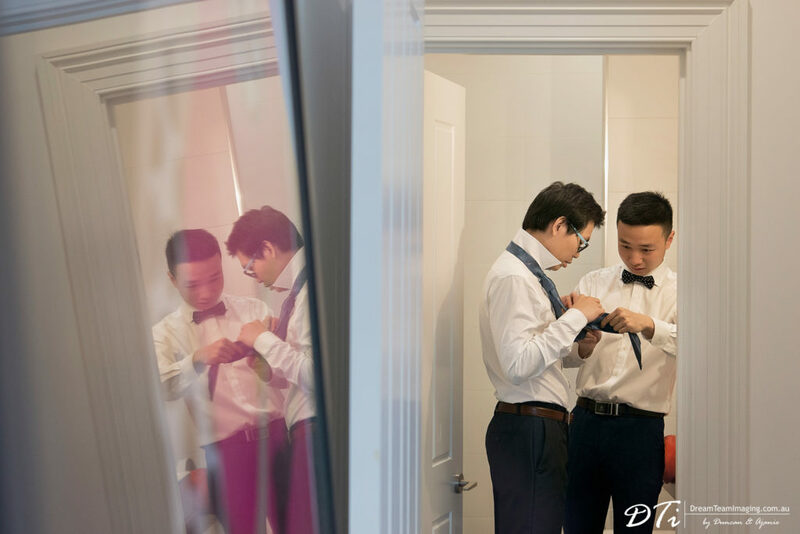 Liu and Hang has known each other since high school. 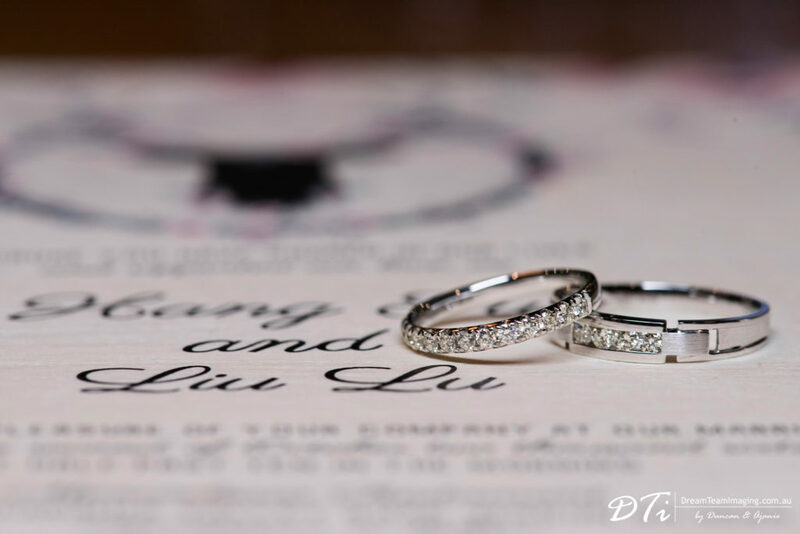 They have been together over 12 years and seen each other through many ups and downs. 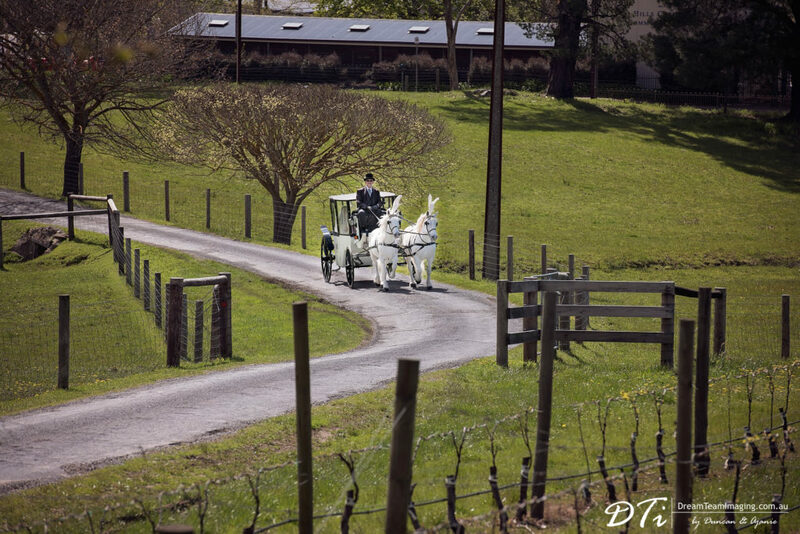 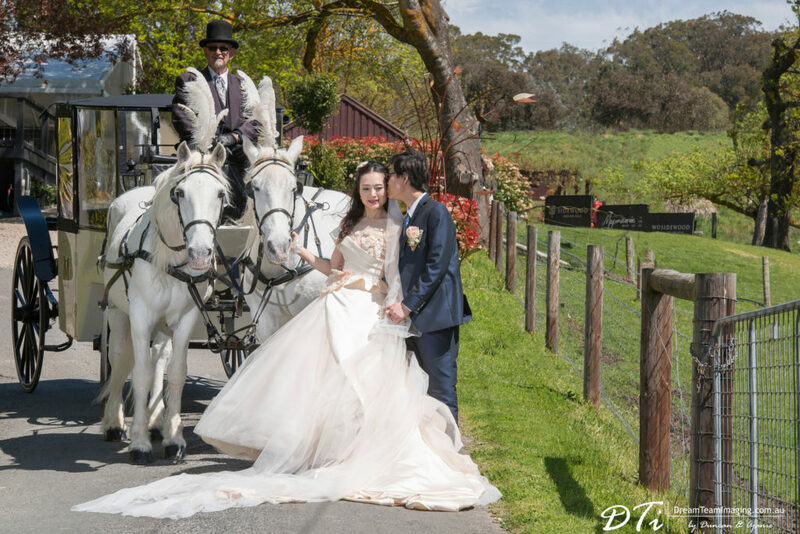 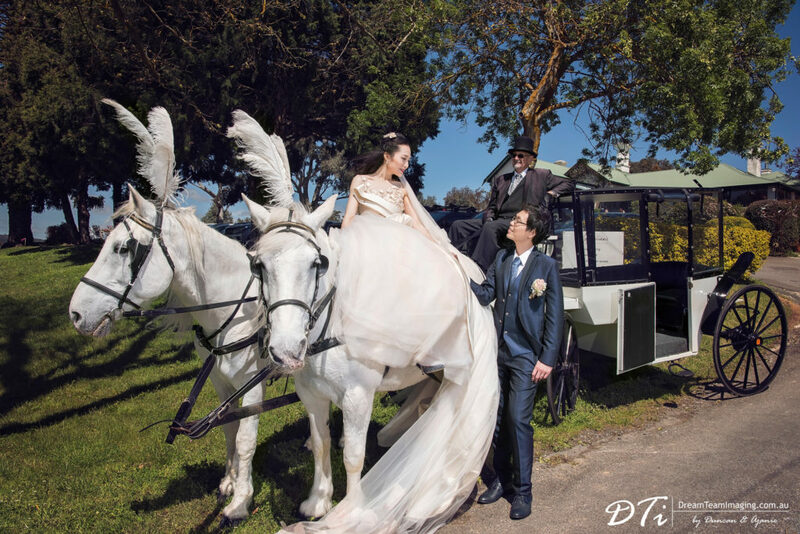 Romantic music played in the background as Hang watched his bride to be arriving in a horse drawn carriage. 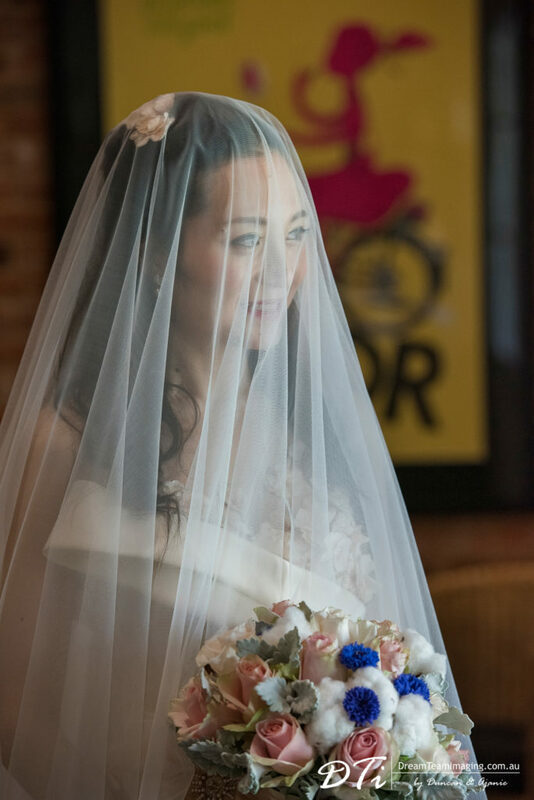 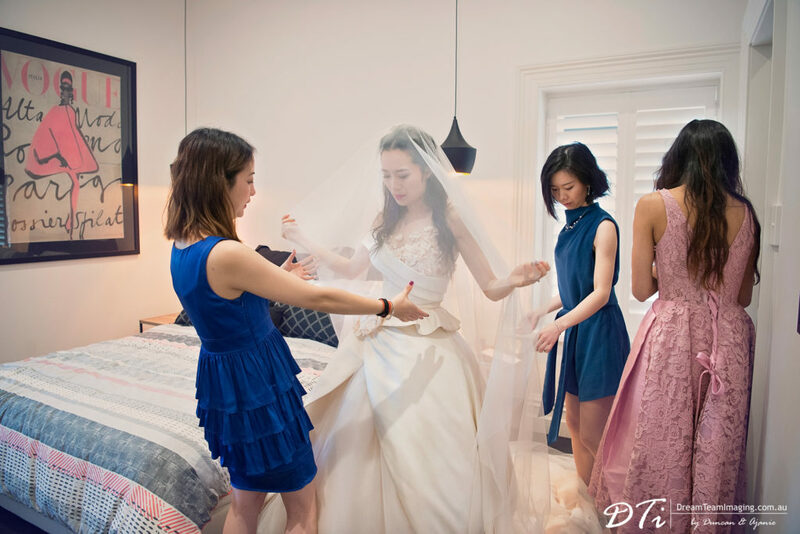 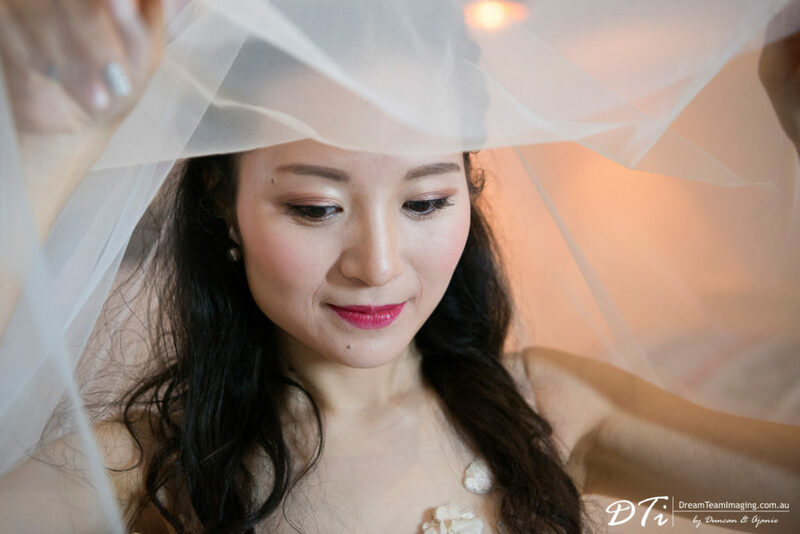 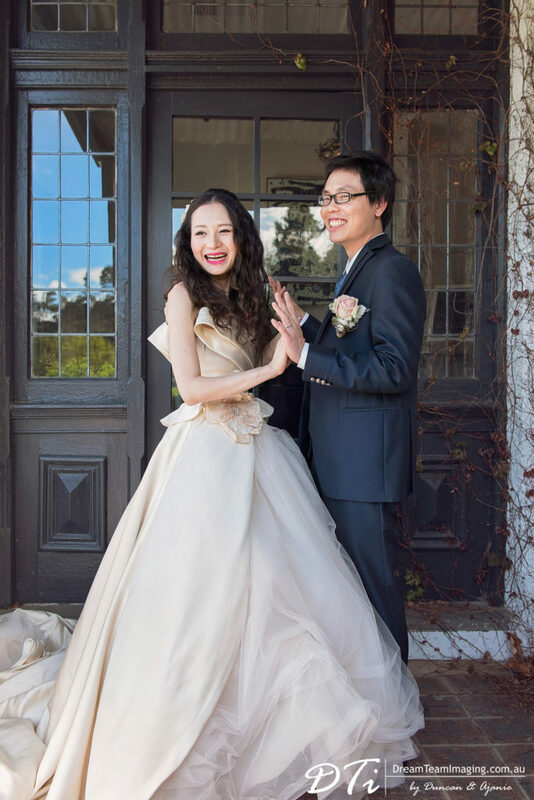 Liu in her custom made wedding dress looked elegant and beautiful. 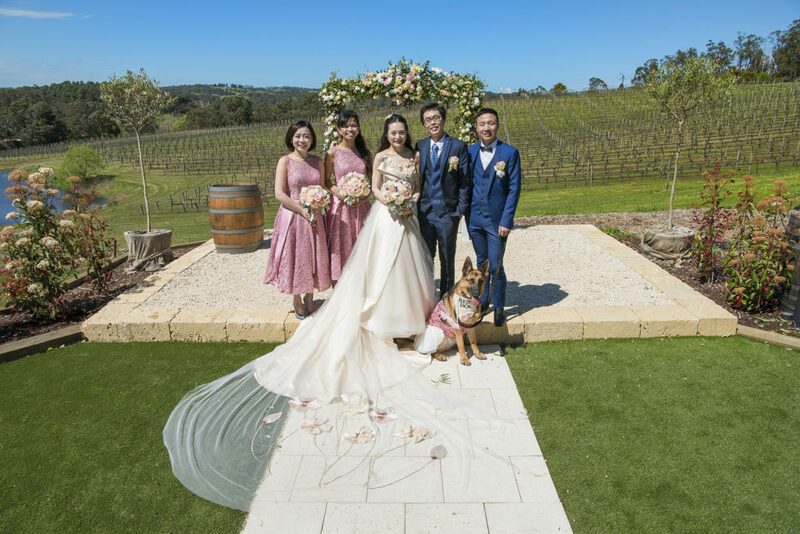 One other part of their day that was so special was watching Liu and Hang’s playful doggie (Judy) being the ring bearer. 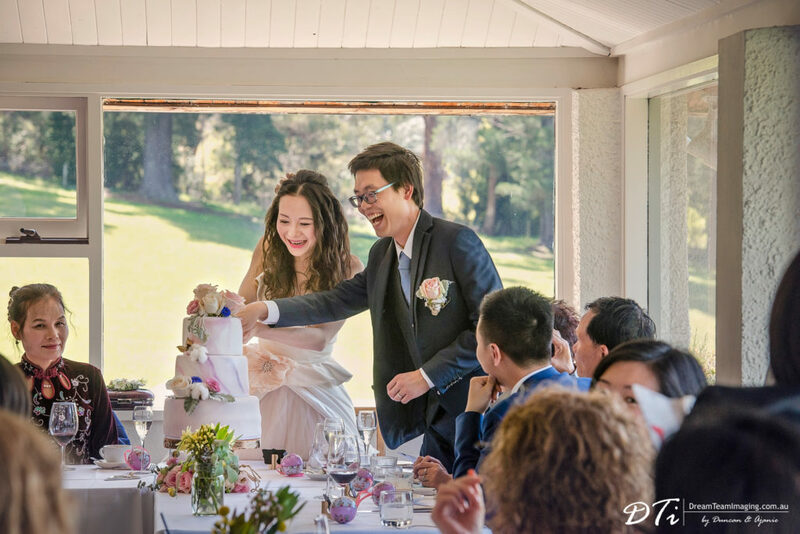 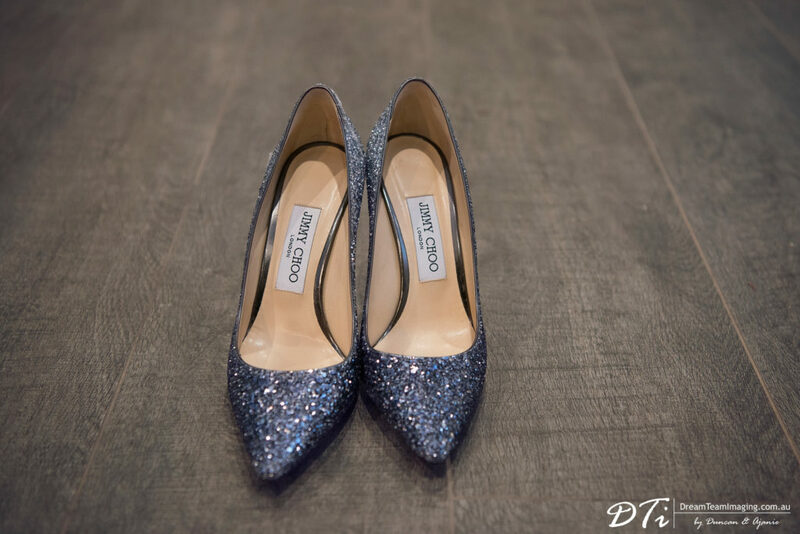 It was one of the highlights of the wedding. 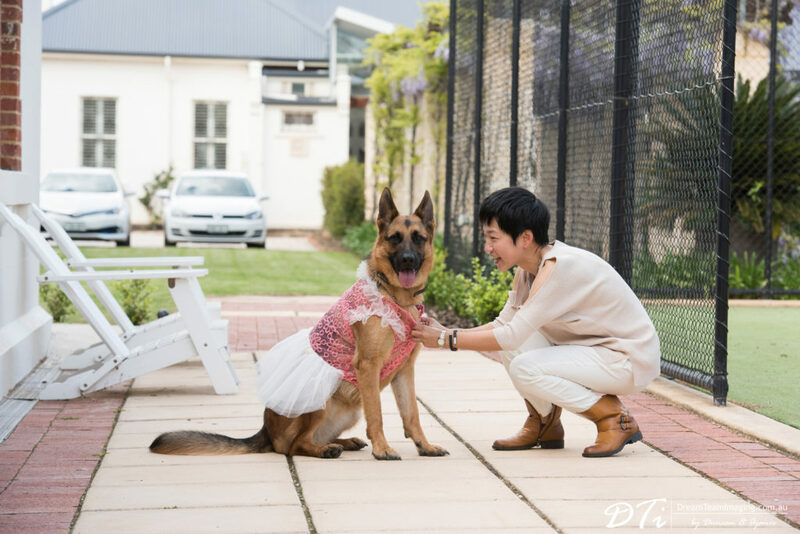 Judy was so well behaved and brought smiles to everyone’s faces. 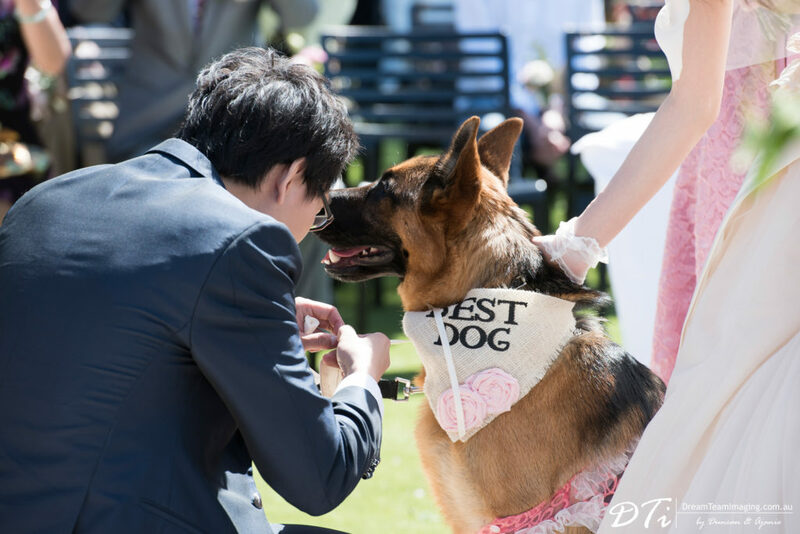 She spent the entire day at the wedding. 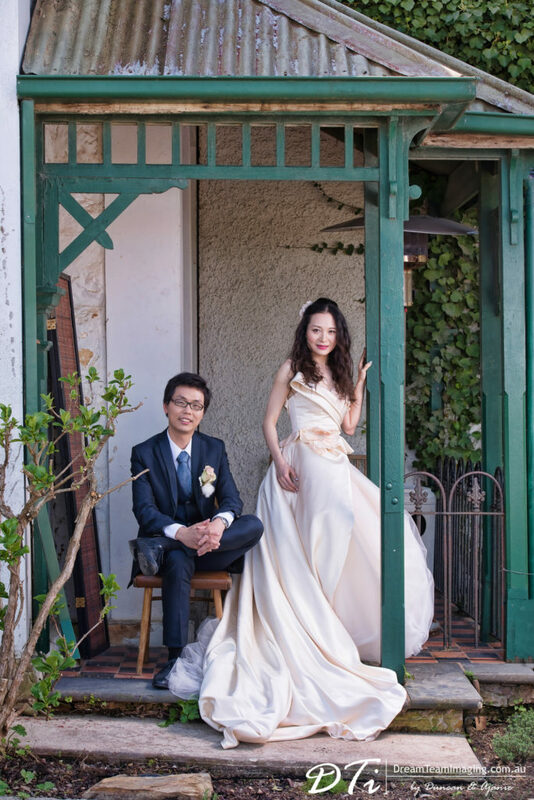 The ceremony was followed by an intimate lunch at one of the Maximilians cosy reception halls. 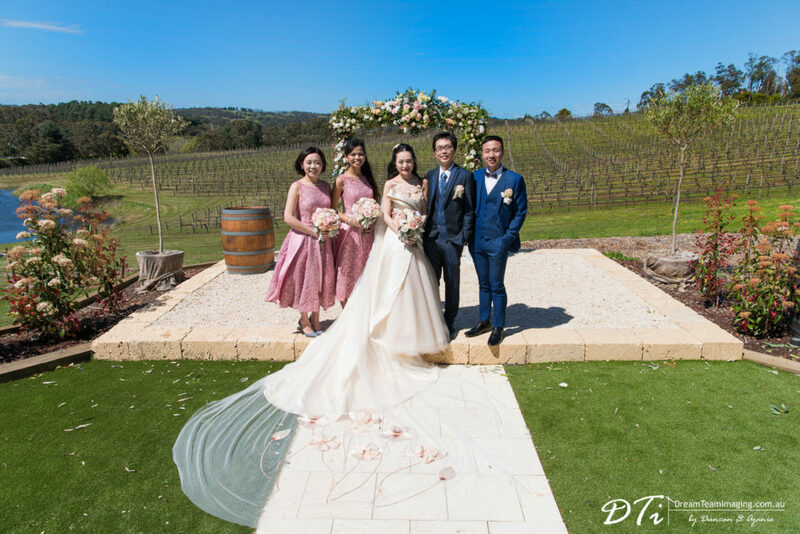 Inside, Maximilians offered a rustic interior with a touch of old world charm, great food and wine good enough to let anyone’s gastronomical indulgences go wild.All day long, Liu and Hang’s friends cheered them and surrounded them with love and well wishing. 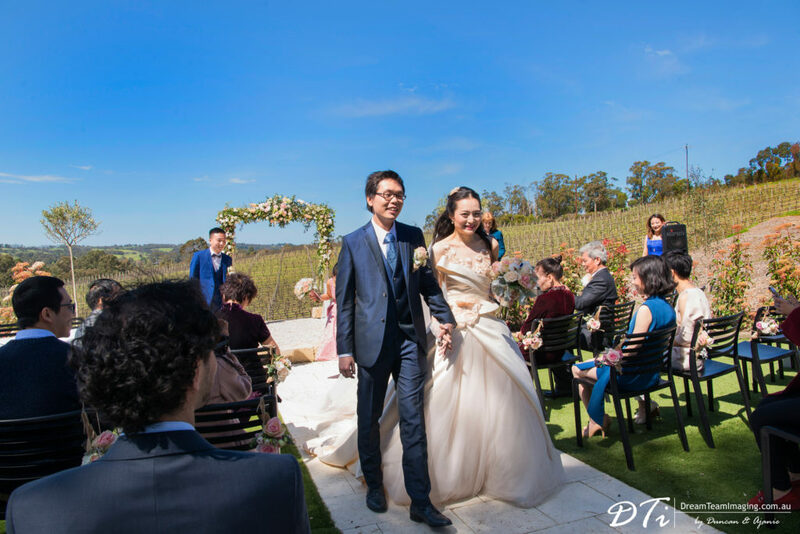 Though rain was predicted on the day (late afternoon), Liu and Hang were very fortunate with rains coming down only well after the day had ended. 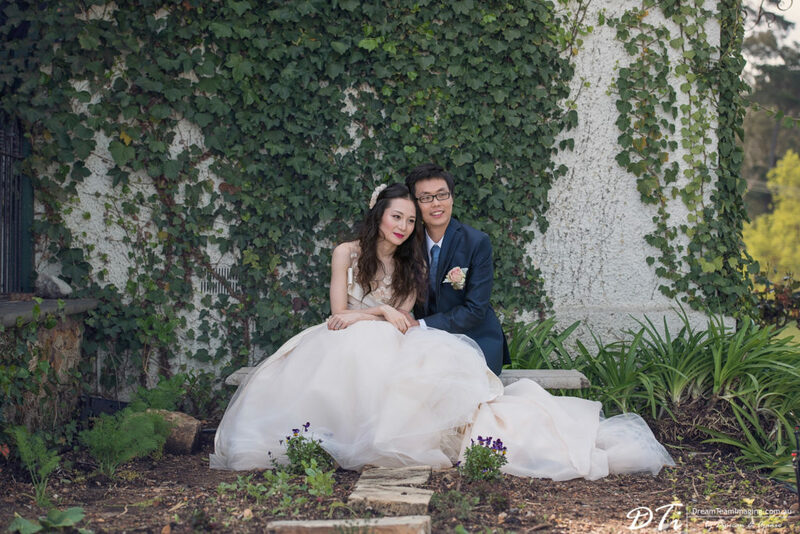 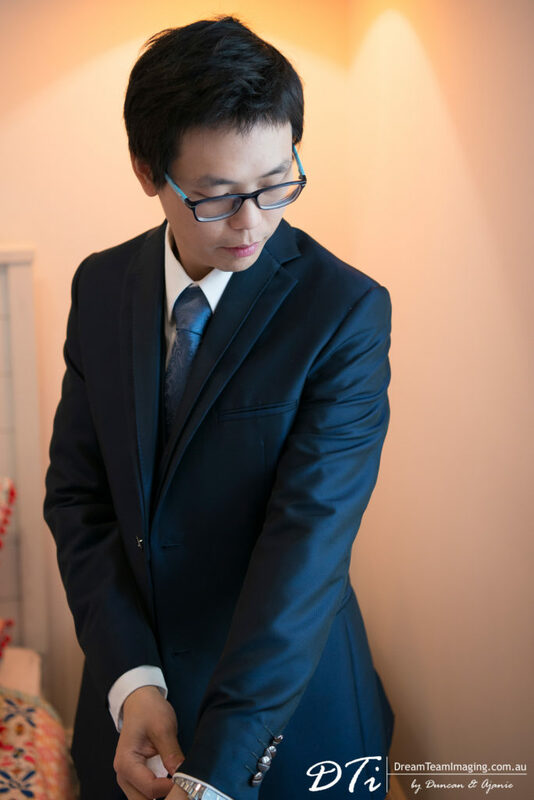 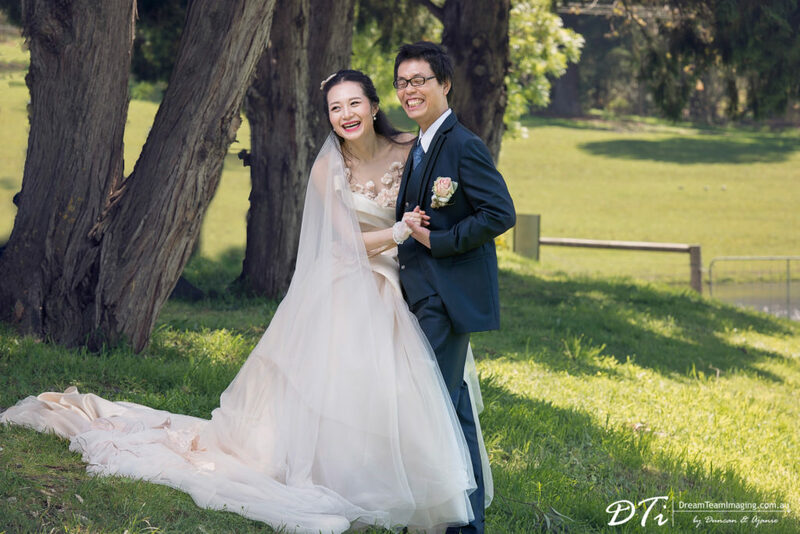 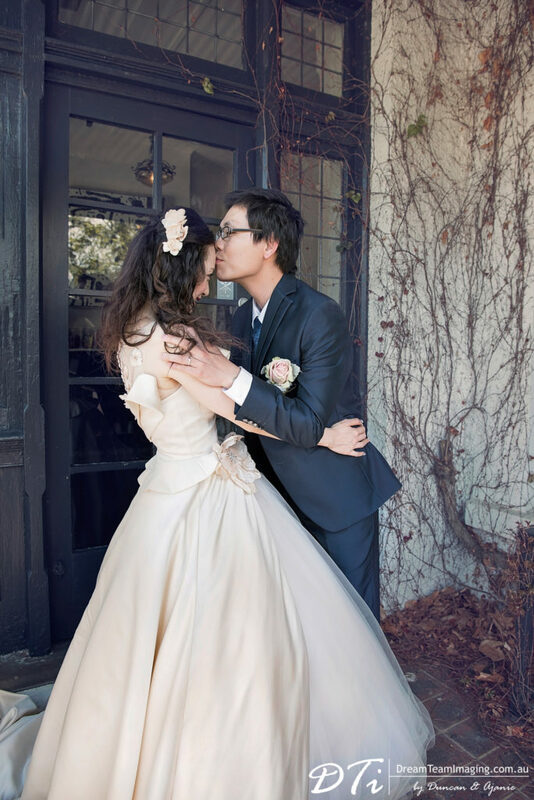 As for us, we absolutely loved celebrating this special day with Liu and Hang.